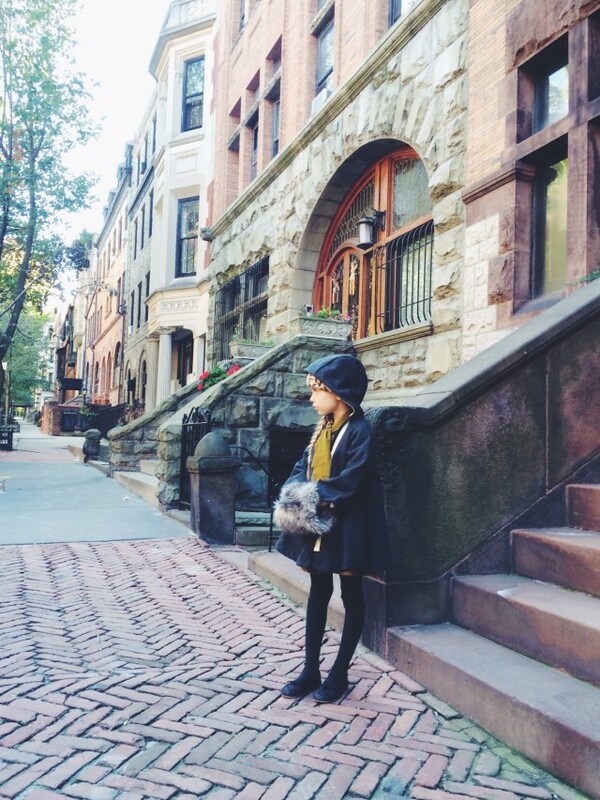 Living life on one of the prettiest streets in Brooklyn, in a gorgeous Brownstone with details and features to ignite longing in us all, Ida, her husband and their daughter Una, are living a cozy light filled city existence many of us would love to experience ourselves. 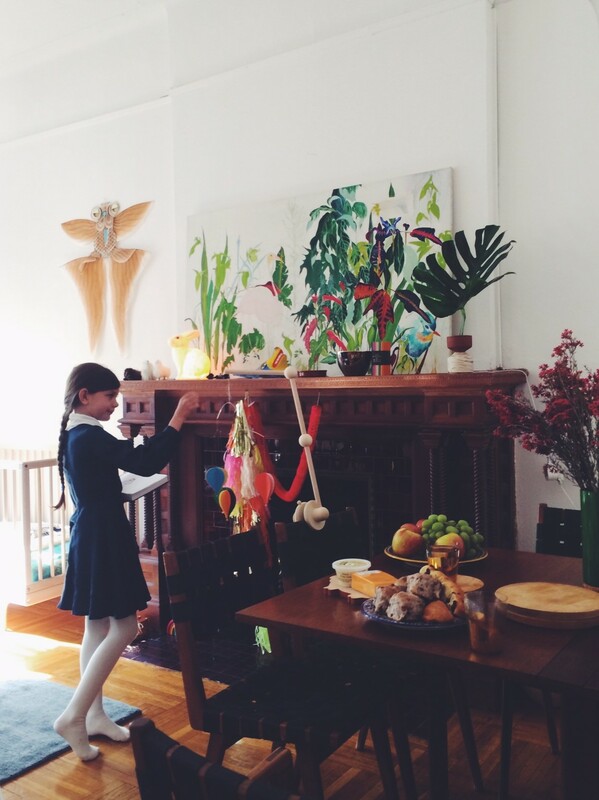 Ida grew up in a loft in Chelsea, with an Artist mother and Musician father who Ida credits for nurturing her creativity. 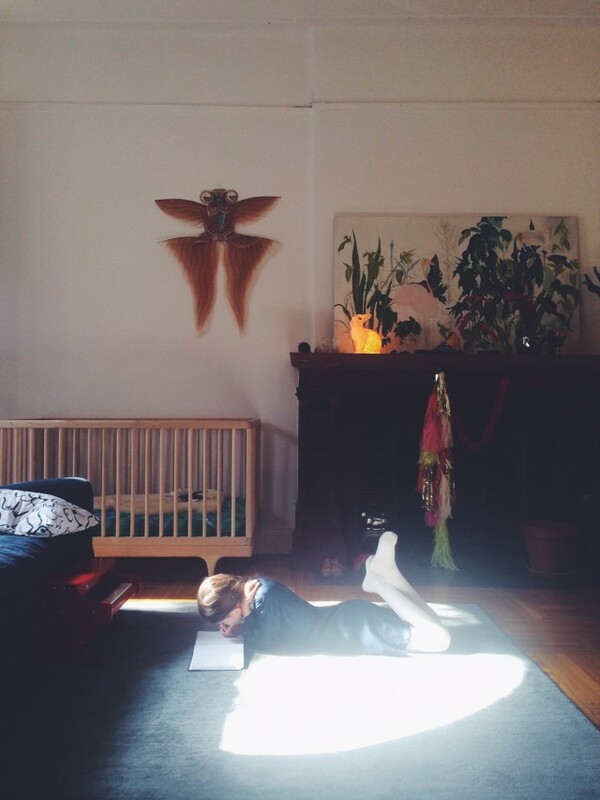 Ida spoke of sitting at her mother’s feet as a child, while her mother painted at an easel above. Ida’s family did not own a TV and Ida spent hours each day of her childhood drawing or playing the violin. 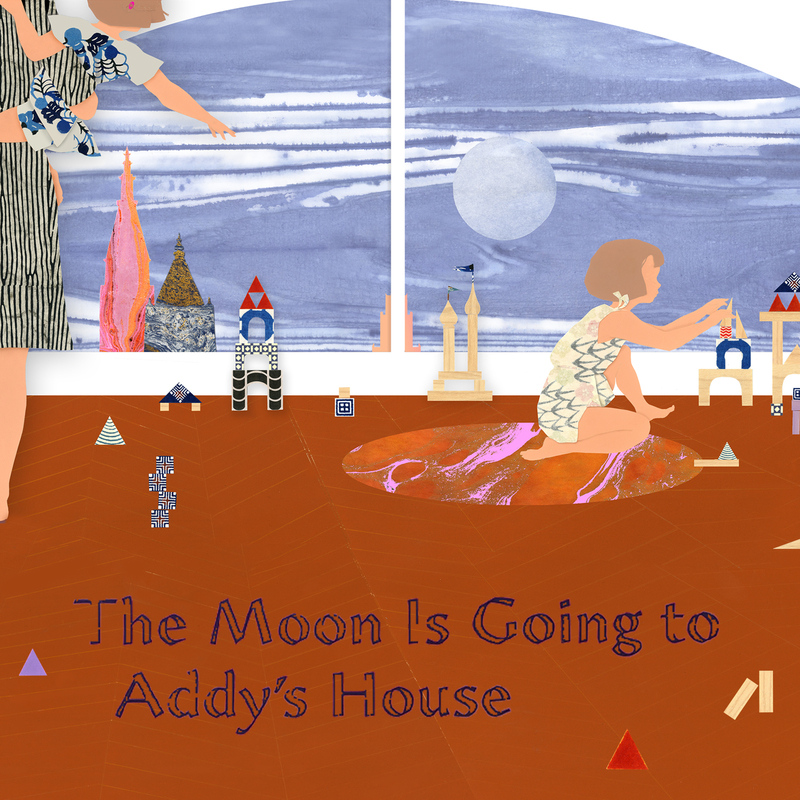 From the age three Ida studied the violin, and in conversation I wondered was it this discipline instilled by learning the violin, combined with her artistic creativity that enabled her to bring her dream of “The Moon is Going to Addy’s House” to life? You will see in Ida’s work a meticulousness, to get things just right, and this is not a universal “right” this is a right to please her own nature. As we looked over her notes, years worth of sketches and sample ideas, story boards and technique experimentation, I was in awe of all that went into “Moon” as Ida refers to her book for short. Drawers full of pieces of paper that Ida rifled through all seemed so precious to me for her mark making but she considered only ‘bits of this and that’. It is interesting what an artist thinks of them-self, and how their process work can easily be set aside by them, but to others, it still contains such magic. 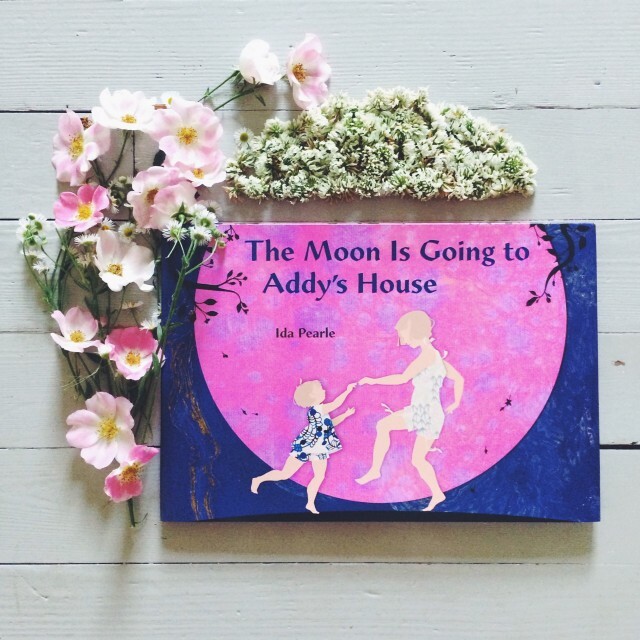 The Moon is Going To Addy’s house is an incredibly gentle and comforting story that creates an analogy between the moon and the relationship we have with our children as parents. It subtly touches on the sense that we can and will always have an omnipresent like place in each other’s life. 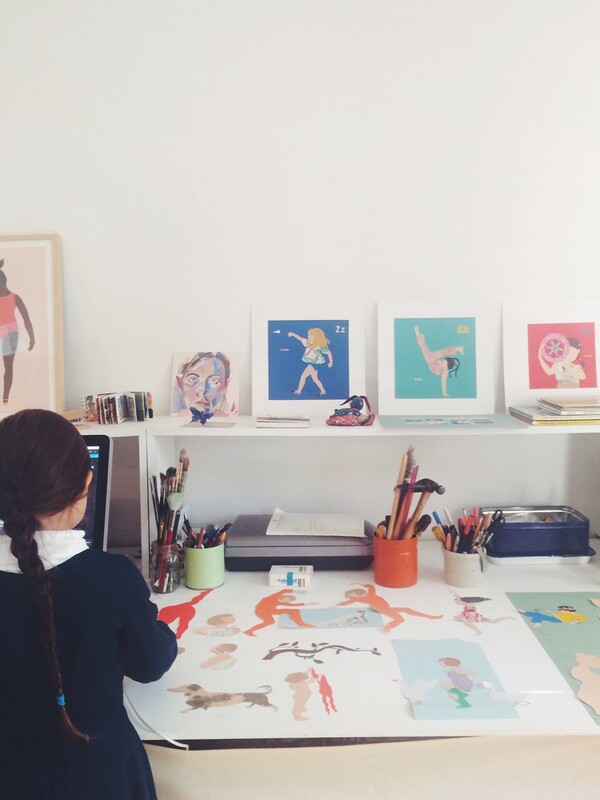 It took Ida 5 years to write and illustrate this book, and over and over I could see that all the process work that accumulated during these 5 years should be displayed in an exhibition one day. 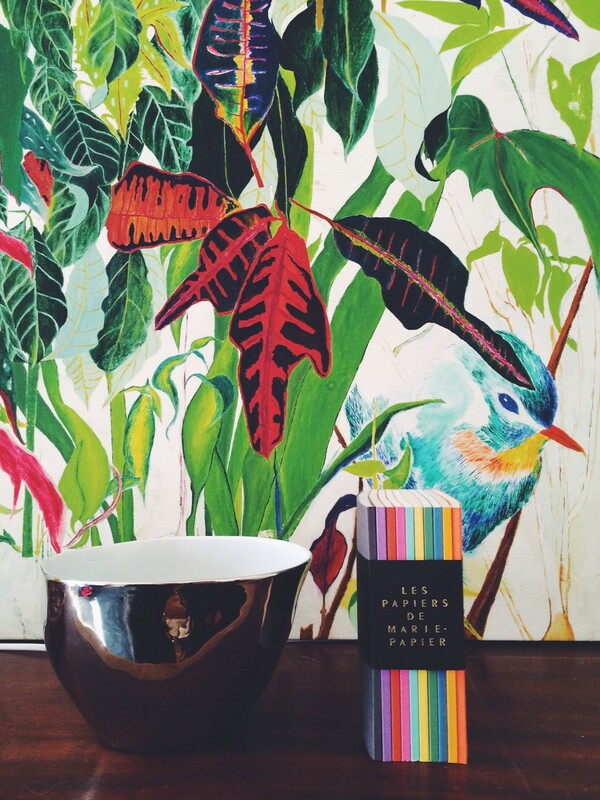 The process to how we get to the end product really is so valuable. Ida Pearle is truly on a path of greatness, a path that will see many many people celebrating her life’s work. This entry was posted in G E N E R A L, O B J E C T and tagged artist, author, brooklyn, children's book, children's books, Ida Pearl, interview.